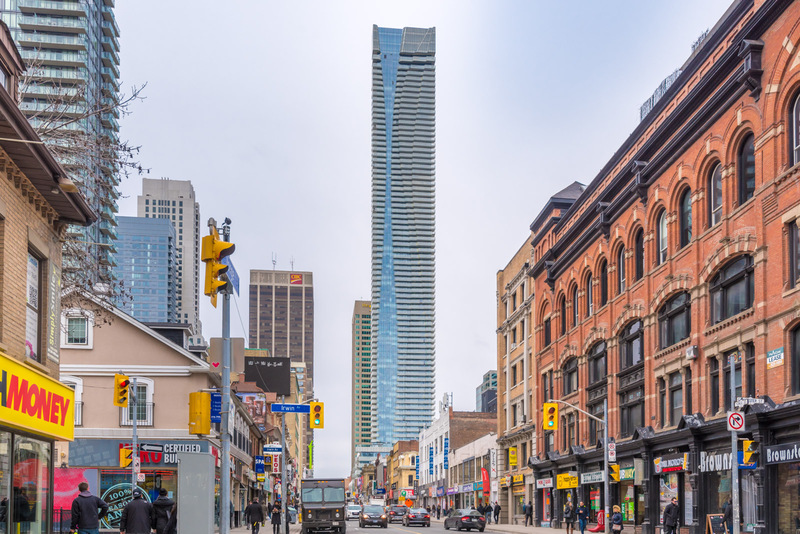 1 Bloor knows how to stand out in the crowded downtown landscape. 1 Bloor Street East stands at the intersection of Yonge and Bloor, Toronto’s hottest destination for shopping, dining and entertainment. 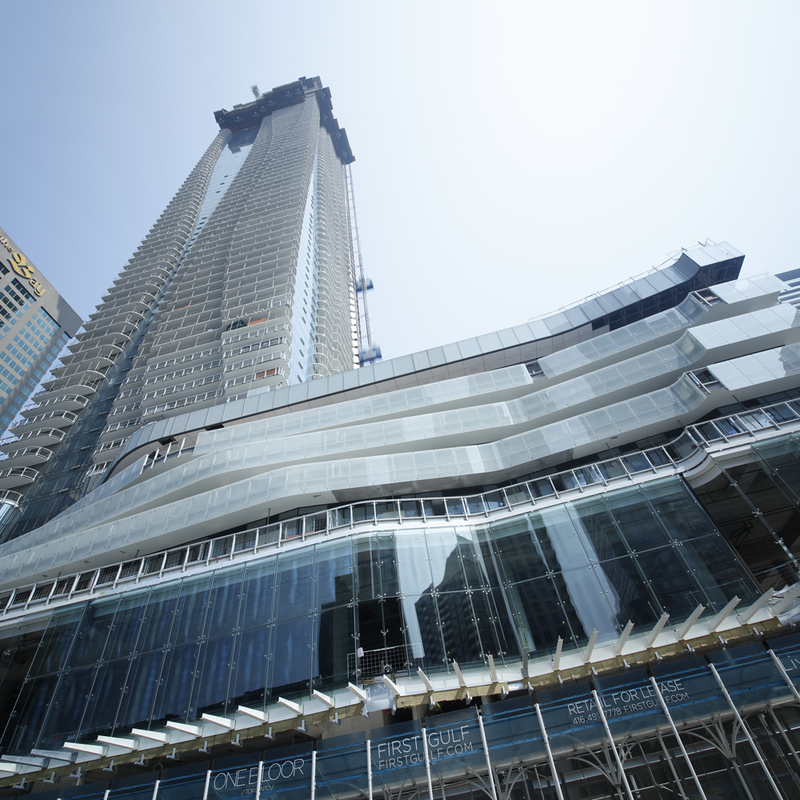 At 75-storeys, the condo is sleek, chic and fearlessly modern, combining flowing lines with crisscrossing contours. And, like falling water, its wavy blue ribbon infuses it with an elegant yet dramatic touch. Inside you’ll find exquisite interiors, over 10,000 sq. ft. of amenities, and sweeping views from your 31st floor balcony. 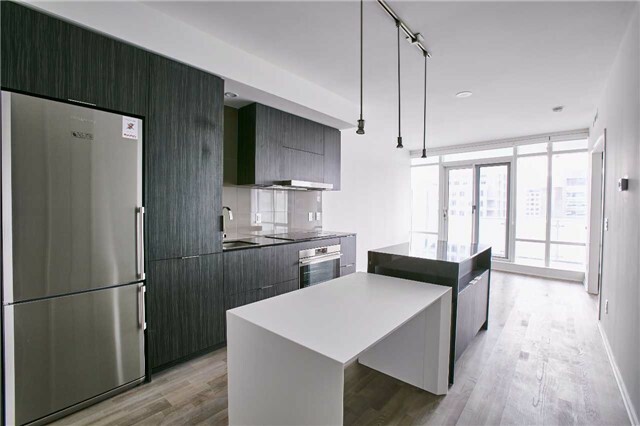 The condo blends classic and contemporary elements, from hardwood to stainless-steel. 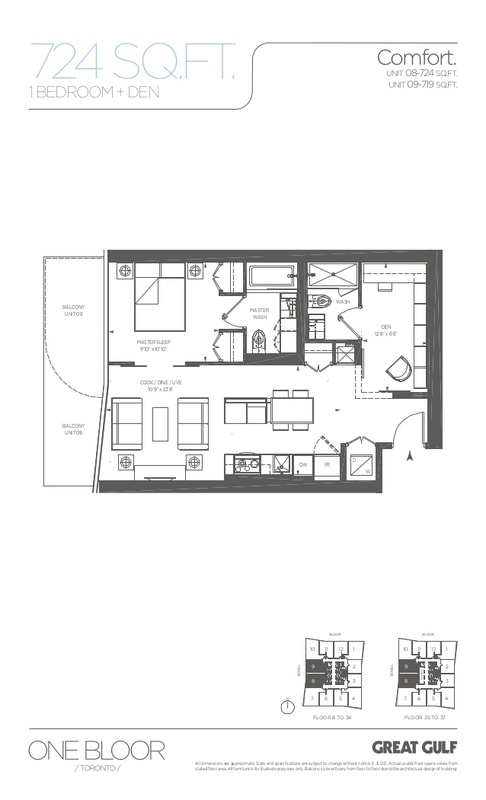 1 Bloor Unit 3109 consists of a large bedroom, 2 washrooms, and a den. An open-concept design improves flow from one room to another, making the 724 sq. ft. condo seem even larger. We can see this in the exquisitely-designed kitchen where the linear layout runs straight and seamlessly into the distance. 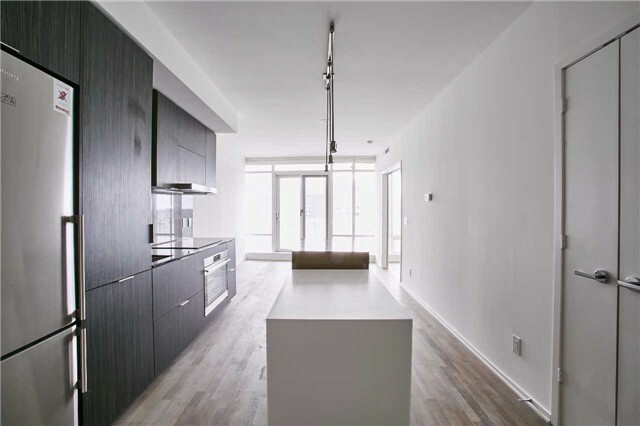 Designed by Cecconi Simone, 1 Bloor Unit 3109 has a gorgeous symmetry. The modern kitchen also features a granite island, stunning finishes, and gorgeous hardwood floors which complement the wooden cabinetry. Because the appliances are built directly into their surroundings, it frees up precious space. The master bedroom is very spacious, boasting wall-to-wall windows, towering ceilings, and His & Her closets for abundant storage. Huge windows mean more sunlight and better views. 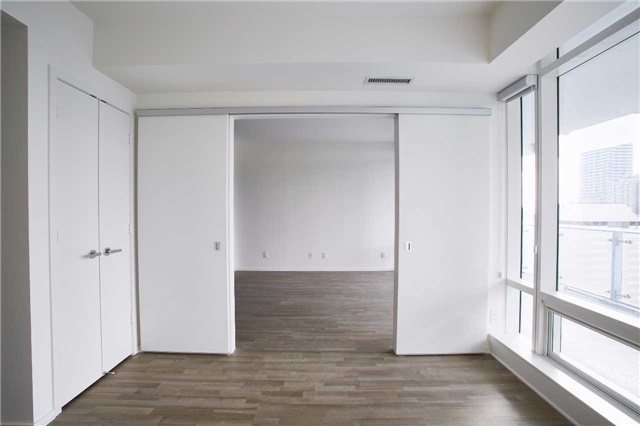 Sliding doors also offer ease of access or privacy, depending on your needs. Open-concept or closed—it’s up to you. 1 Bloor’s master bathroom is stylish yet practical, and includes a shower, tub, and large mirror. Under-sink cabinets provide easy storage for towels and toiletries. The 2nd bathroom is no less spectacular. 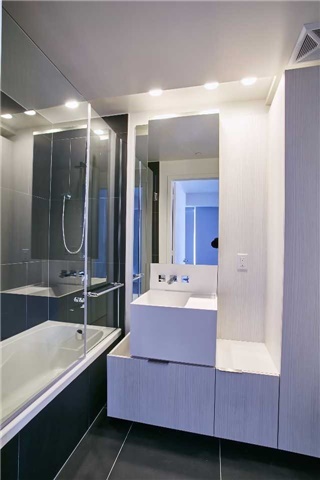 It features a standing shower, rectangular mirror, and large sink with built-in storage. 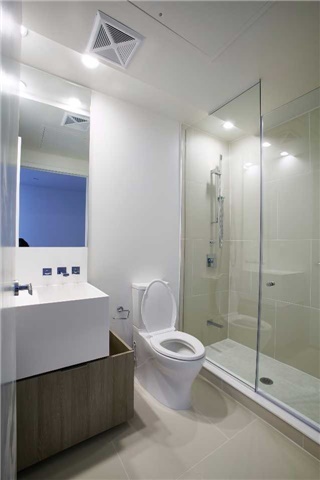 While the 2nd bathroom is lighter in tone, it shares the same clean geometry. Finally, there’s the massive den. 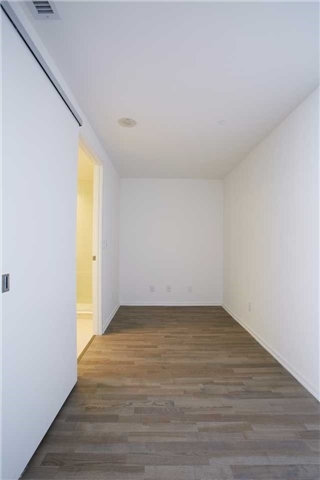 Although it can double as a storage space or office, the den can also be converted into a second bedroom, making 1 Bloor Unit 3109 perfect for individuals, couples or families. The fact that the 2nd bathroom connects to the den is another reason to use it as a bedroom. Note how you can access the second washroom from the den. 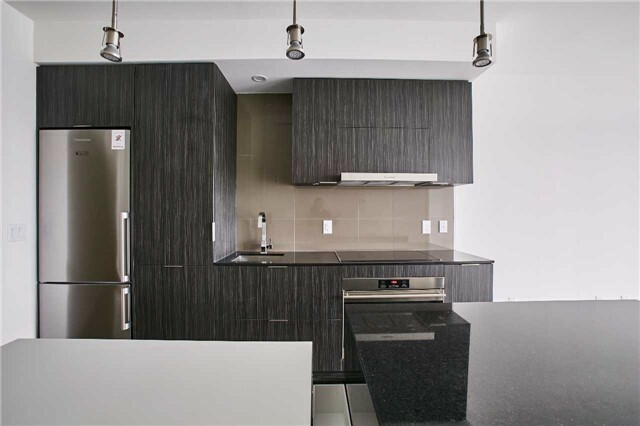 Residents of 1 Bloor have access to world-class amenities. For a full list, check out this blog post. 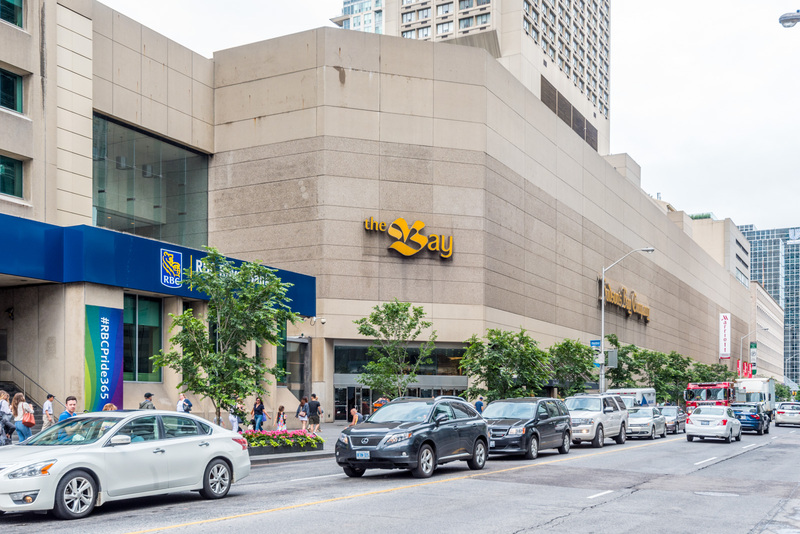 Hudson’s Bay is literally (not figuratively) across the street from 1 Bloor. Like New York’s 5th Avenue or Paris’ Champs Elysées, this cross-section is the fashion hub of Canada. Want the biggest names in retail? Head over to Eaton’s. Demand nothing less than the most upscale fashion brands? Check out the flagship stores in Yorkville. Hunting for cheap goods? 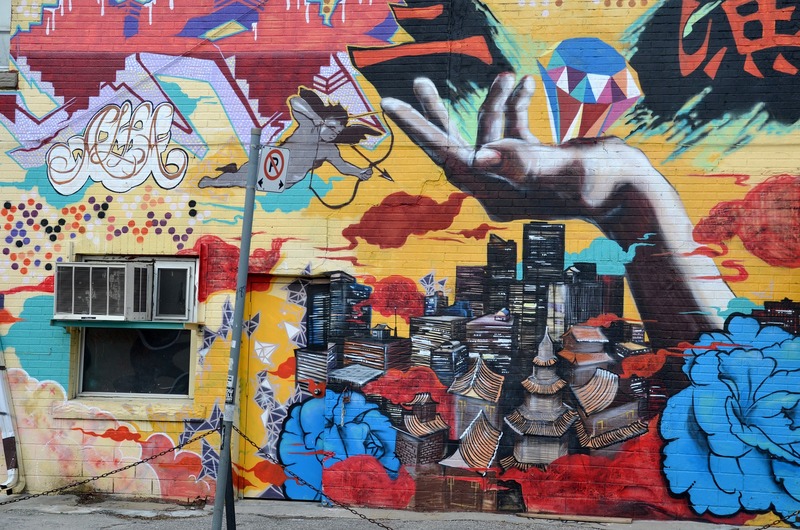 Drive on over to Kensington Market or Chinatown. 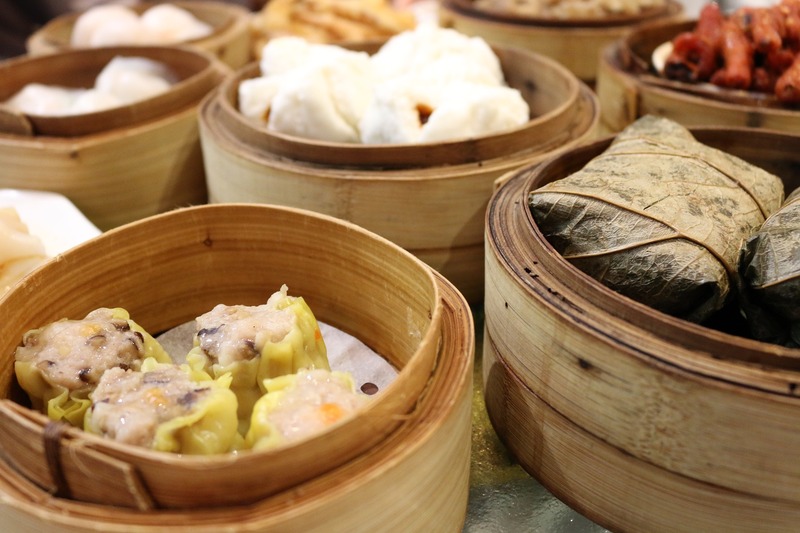 And since Toronto is the most diverse city in the world, it’s no surprise Yonge and Bloor is home to some fantastic multicultural restaurants. Chinese, Mexican, Indian, Italian, Mediterranean and more—whatever you crave, they’ve got. There’s also tons of thing to do around Yonge and Bloor, including frequenting the city’s best bars, cafes, and nightclubs. 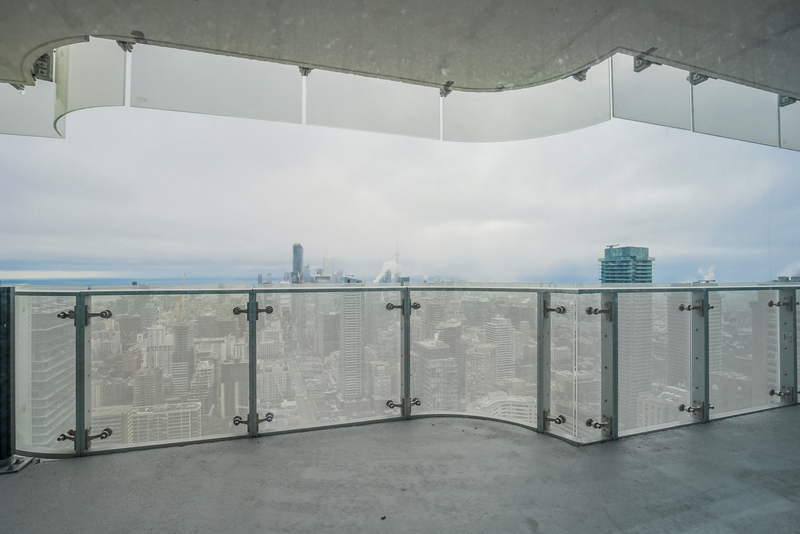 Your dream condo comes with a dream view. Only 1 Bloor offers such an iconic address, stunning architecture, luxurious interiors, and endless amenities. With 1 large bedroom, 2 washrooms, and a storage den that can serve as a second bedroom, this condo is perfect for young professionals, couples or families. 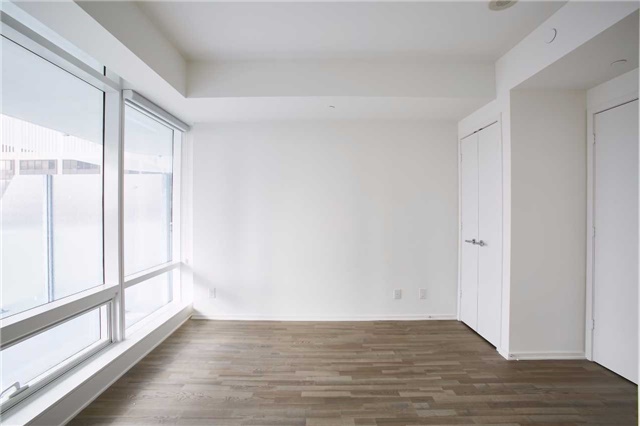 Want to start your new life at 1 Bloor Unit 3109? Contact me below for more details.